I read a lot of books in 2017. These are some of the ones that are still sticking with me. Amelia Gray has built her literary reputation on endless inventiveness. Her stories are explorations of the weird, and her first novel, Threats, continued that tradition in long-form. 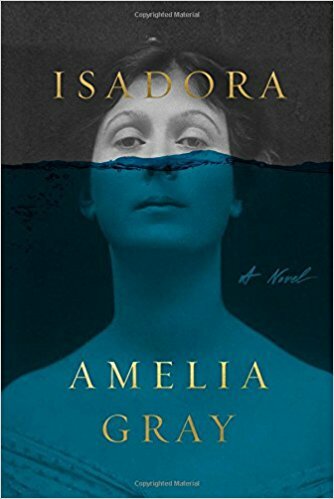 So while Isadora is something of a departure from Gray’s established style, it should in no way be surprising that she has found a new way to surprise readers. The titular Isadora is Isaroda Duncan, the woman who pioneered modern dance in the early 20th century. The novel begins with the tragic death of her two young children. This event might have been the climax of the story in the hands of another author. As Gray’s starting point, though, it initiates a series of character studies—of Isadora, her lover and father of one of the children, plus several others—a sort of downward spiral through grief, at least grief as experienced by the iconoclastic Duncan. The novel rewards not through a rigid plot progression, but through a cumulative experience. The petty alongside the profound. Experience as synonymous with mess. I could call the novel existentialist, but that’s not quite right. As always, Gray has created a work that’s going to defy our easy classifications. Throughout, I was struck by the depth of imagination behind the novel. These characters and their worlds are richly researched, yes, but it’s the elements that Gray has created, if not from scratch then from only the barest of recipes, that linger with me even weeks and months after I finished reading. I’ve always admired Roxane Gay’s ability to get to the heart of a subject. She distills her essays down to concise, efficient arguments. She makes her points as clearly as any other writer I know. So I was interested to read Hunger, if only to see how she would treat her nonfiction in long form. While this book is still recognizably in her style, it also differs from most of her other nonfiction works in a few striking ways. Gay is never an absolutist, but I think her opinions are always stated with the confidence. She’s only going to write about a subject when she feels she understands its nuances. I turn to her when I hope to clarify my own thinking on a subject. There are many moments of this in Hunger, but I also found that she was willing to be more vulnerable as a thinker, willing to cede her authority, to a degree, in order to illustrate her experiences. This might be a simple byproduct of memoir-writing, but it also seems to be a rhetorical tactic, one that works very well in Hunger. I also noted that the memoir tended to be more recursive than Gay’s essays. I find her essays to be streamlined, moving from the introduction of a subject to a conclusion in a more or less straight line. In her memoir, however, she returns to previous subjects frequently. Instead of reading a summary of Gay’s thoughts, we’re experience the thought process along with her. This is perhaps the most intimate part of the memoir, a peek into the inner workings of her mind. Lastly, for a writer who has written so many personal essays, Gay offers another degree of personalness in Hunger. It’s not just that she’s sharing these incredibly intimate details of her life, though. It’s that she’s sharing her story specifically with the hopes that it will reach someone who needs to hear it. Hunger is a sacrifice and Hunger is a gift. And, as always, Roxane Gay’s writing helped me learn new things that I needed to know. 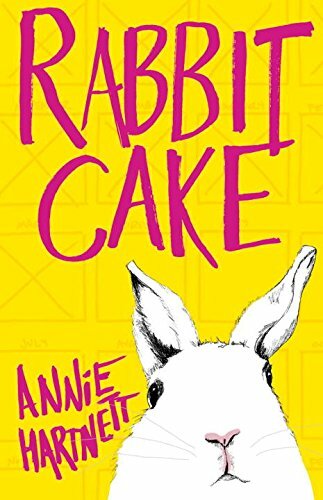 You’d be forgiven if after looking at the yellow and pink cover of Rabbit Cake you failed to assume the novel was all about grief. But grief, in its many permutations, is the main theme running throughout. The cover works, though, because if ever grief could be treated playfully, it is here. The charming child narrator is as concerned with the processes of grief as she is with actual grieving. She copes not in a state of traditional despair but through questioning, searching for an explanation for the inexplicable death of her sleepwalking mother. The titular rabbit cakes, literally rabbit-shaped confections, become the obsession of the narrator’s troubled sister, troubled even before the death of their mother. Their father takes to wearing his deceased wife’s lipstick, and adopts a parrot that somehow speaks in her voice. Dysfunction abounds, to be sure, but it never descends into slapstick. The narrator, and through her the author, is seldom critical. Hartnett seems to love her grieving characters and offers them empathy. The refined prose and off-kilter premise reminded me of Aimee Bender. Hartnett, like Bender, writes in a style that manages to be both breezy and complex, big ideas rendered perfectly with just a few swift strokes of the pen. It’s been a few days since I finished, and the novel is still sticking with me. More than anything else, it’s this memorable quality that makes Rabbit Cake so successful. 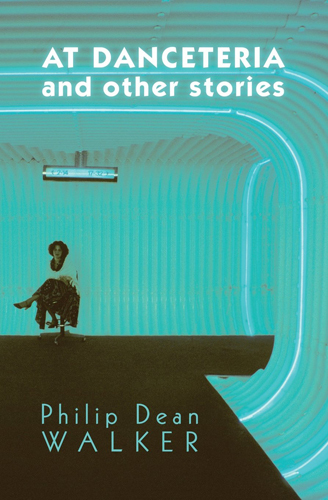 The stories in Walker’s debut collection center on the gay club scene of the early 80s, focusing in particular on various celebrities who either frequented or happened upon the scene’s clubs and parties. Instead of focusing on the grandeur of celebrity life, however, Walker imagines small moments and paints portraits of intimate friendships. These are warming stories, even as the specter of the AIDS crisis looms in the background. Walker’s celebrities are always people first, as knowable as next door neighbors, and their struggles should be entirely familiar to anyone who’s ever endured the warring forces of fitting in and being oneself. At the book’s end, you don’t feel as if you’ve read celebrity gossip so much as you have been introduced to a group of new friends.